I thought I would take a few moments to wish everyone a happy new year! Just for fun, I thought I would share this funny picture that my friend Lisa sent me. Finally, one friend sent me this. I liked it so much that I made a picture for it. 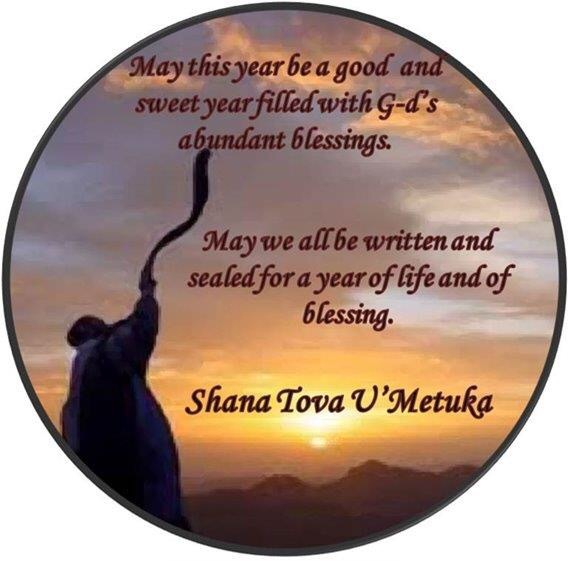 The holiday of Yom Kippur starts tonight. For the past few years, I have participated in an “Elul Group” in which everyone says individually over the entire 40 days from the first of the Hebrew month of Elul until Yom Kippur the entire book of psalms, and daily as a group. 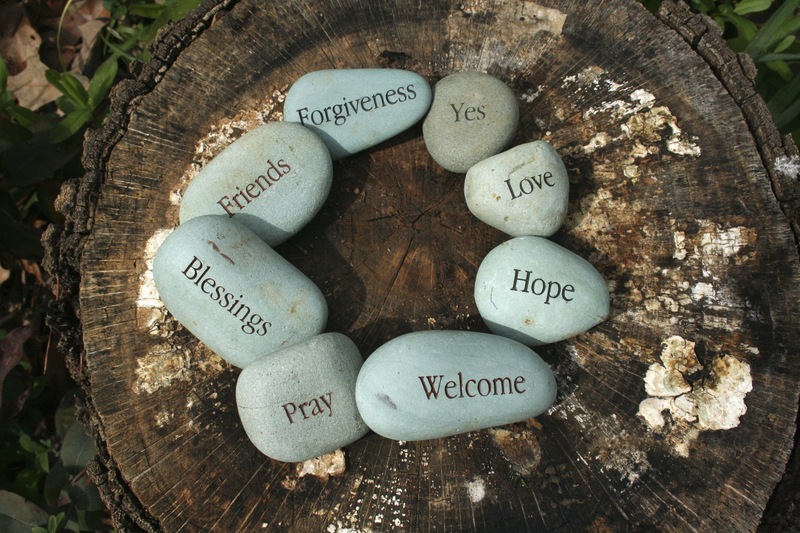 Each person is assigned one particular day to write something on the themes of this time of year such as: forgiveness, repentance, or personal/spiritual growth. Below is the d’var Torah (words of Torah) that I sent out to the group. I thought I would take the opportunity to share it with everyone here. I would like to thank Caryn and Ruthie for creating this group and for their willingness to maintain it! This group is a vital part of my avodas Hashem (spiritual work) during this auspicious time of year. I love the structure that it provides! This year, I wanted to write about Sefer Yonah (the book of Yonah), which is read during mincha (afternoon prayers) on Yom Kippur. I feel so grateful to this group for motivating me to learn more about this beautiful sefer (book) and its connection to Yom Kippur and teshuva (repentance). So, thank you Ruthie and Caryn for all your efforts and to everyone in this group for your participation! Most of us are familiar with the story of Yonah. It is such a visual story that reads like a fairy tale and makes terrific material for a Disney movie. In fact, as I was preparing this d’var Torah (DT), I thought I would look up if there was a movie made on this story. If anyone is interested, it seems as though there are several! I work as a nurse in psychiatry. In other words, we can be in so much pain and torment and think that we would be better off in the Olam HaEmes (the next world). However, it is not true. 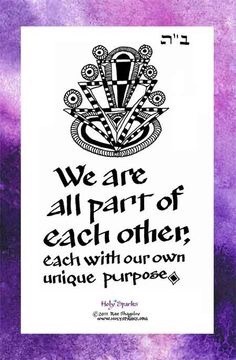 We are all born to fulfill our unique mission in this world. 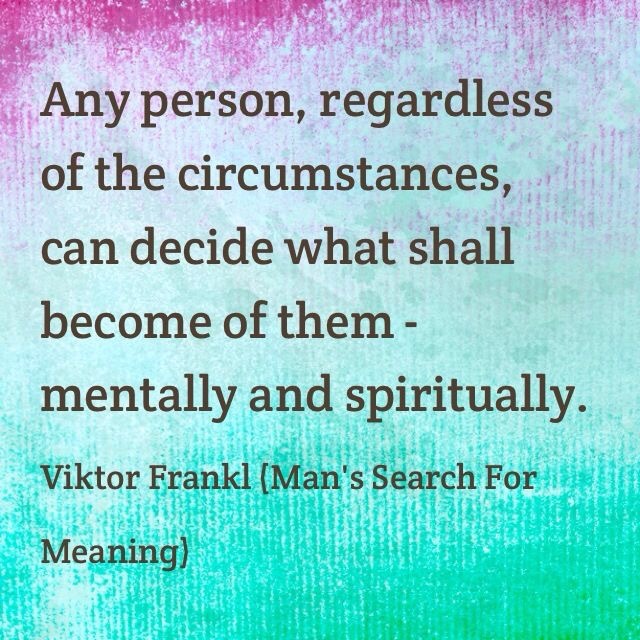 We may think that we can escape from Hashem’s plan for each of us, but we cannot. 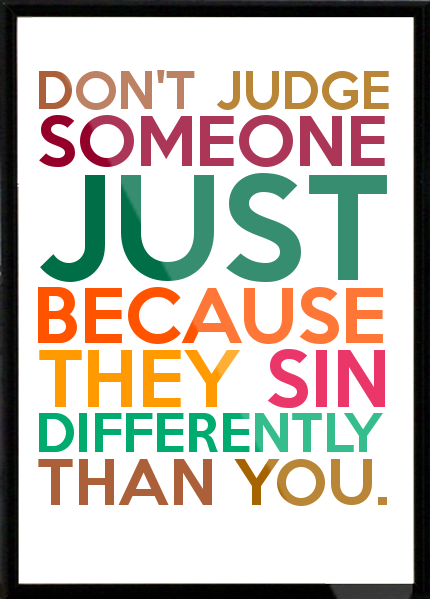 Furthermore, on this day of judgement, how many of us are guilty of judging Hashem? How often do we tell God about how we think the world should be run in general, and how our lives should unfold in particular? How often do we think that we know better how events should transpire and judge the outcome or the other people involved? 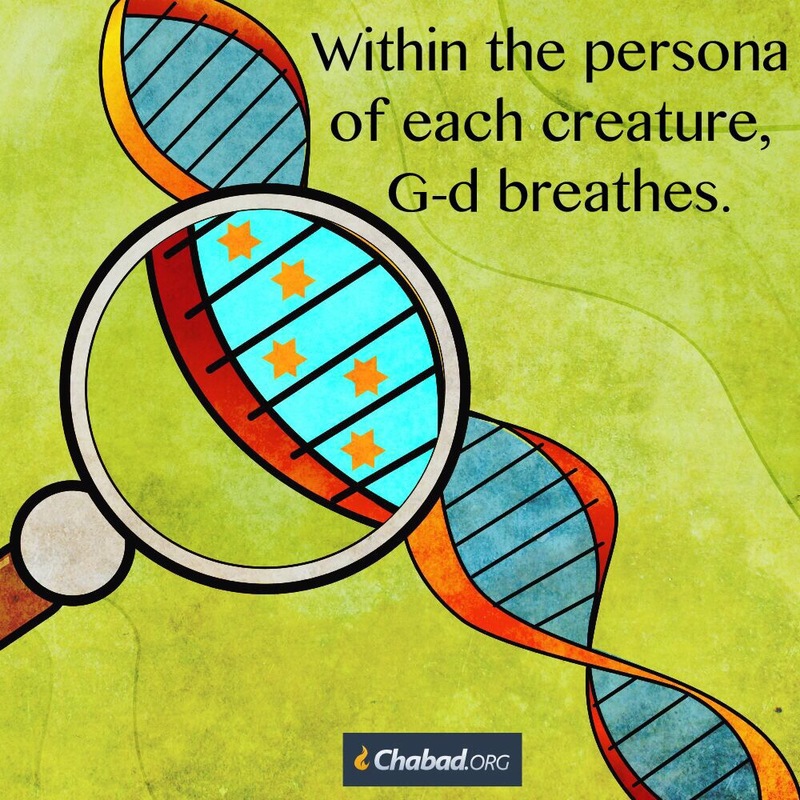 These questions cut to the core of human existence and our dynamic relationship with Hashem. Sefer Yonah embodies these themes and the struggle between our ratzon (will) and the Ratzon Elyone (The Divine Will). Sefer Yonah begins with God asking Yonah HaNavi (the Prophet) to go to Ninveh and cry out to her to try to get the wicked people there to do teshuvah (repent). Instead, Yonah went to the old port city of Yaffo and boarded a ship voyaging to Tarshish, where he thought he would find respite from Hashem’s will. Why didn’t Yonah want to go to Ninveh? According to Rashi, Yonah was motivated by loyalty to the Jewish people. Yonah did not want the people of Ninveh to do teshuvah as they were not Jewish and he was afraid that they would listen to him and repent while the Jewish people refused to listen to the prophets when they were told to repent. Yonah didn’t want to make the Jewish people look bad. So, instead of trying to refuse God’s command to prophesize, Yonah sought to minimize his contact and distance himself from Hashem. The Talmud, Nedarim 38a states that Yonah went down to Yaffo and found a ship going to Tarshish. He paid its full cost of four thousand dinars of gold and went down into it. Normally a ship that had just arrived in port would not set sail again until a lapse of at least several days while it assembled a sufficient number of passengers to fill up all its berths. Yonah was so anxious to embark that he paid the fares for the entire passenger load. We all know what happens next. 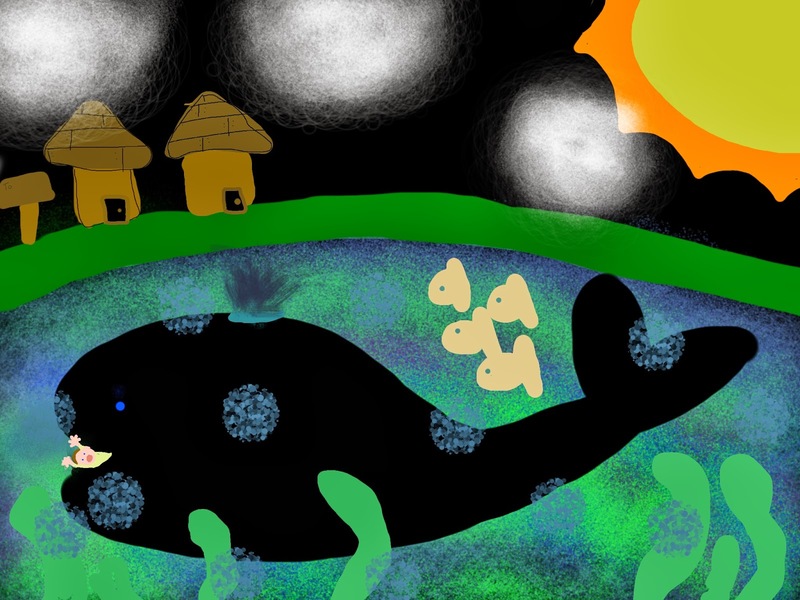 A storm hits, Yonah tells the sailors to throw him overboard, Yonah is swallowed by a large fish and gets spit onto dry land (back in the Land of Israel) after praying in the fish for three days. This time, when God commands Yonah to go to Ninveh, he goes! 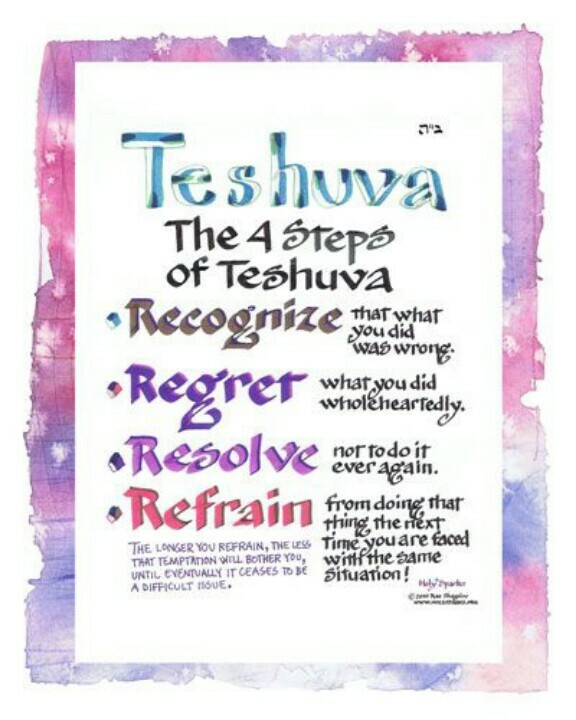 True repentance according to the Rambam is when you are put in the same situation again and you do not repeat the same transgression a second time. We see from the story of Yonah that no one can escape from Hashem who is omnipresent and omniscient. God was with Yonah on the boat, God was with him when he was thrown into the water and God was with him in the fish (it otherwise would have been impossible for him to live in the fish for three days without oxygen). There is no place where God is not present. God’s immanence is within each and every one of us wherever we may be, in the good times as well as in the bad times. True sacrifice to God is a contrite spirit; God, You will not despise a contrite and crushed heart. What this means is that Hashem does not need our sacrificial offerings. As human beings, we are fallible and we make mistakes. Hashem, in His wisdom gave us free will. What Hashem wants is for us to rise above our desires and choose to do His will — even when we are presented with situations or obstacles that we don’t like or feel uncomfortable. The story of Yonah teaches us that we cannot run, hide, avoid, or escape from Hashem’s mission for each of us. Our actions reveal who we are and what we stand for. How we respond to our challenges and to our triumphs in life defines how successfully we have embraced the will of Hashem. The book of Yonah also illustrates Hashem’s qualities of not only judgement, but also of mercy and compassion. If the teshuvah of the people of Nineveh, who were completely evil, could be accepted, then there is hope for all of us if we are sincere in our attempts to change. We need to ask ourselves: Are we behaving in a way that brings us closer to Hashem, or distances us from Hashem? How do we conduct ourselves not only in the mitzvoth which govern our relationship with God, (bein adam l’Makom) but in our relationships with others (bein adam l’chavero)? 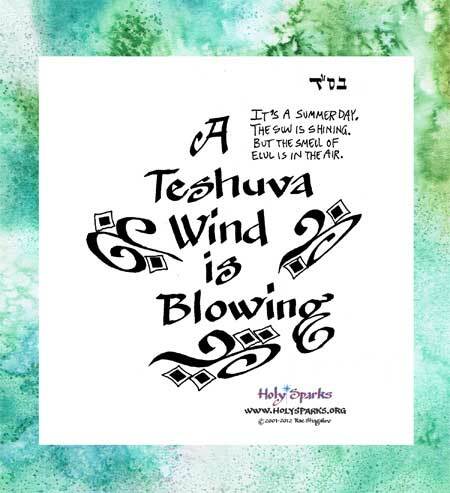 During this month of Elul, and these days of teshuva, may we all be blessed the strength and clarity to accept with simcha (happily) and achava (love) the tests that Hashem places before us. 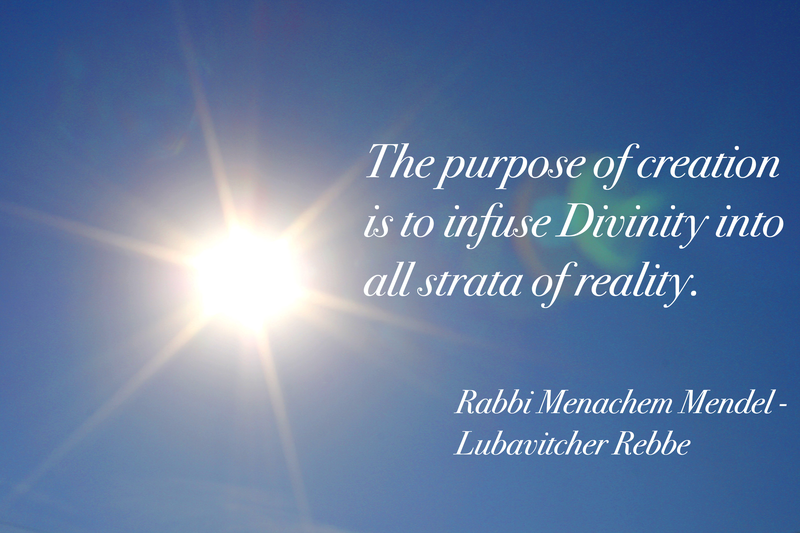 May we trust in Hashem’s ultimate goodness, knowing that He is lovingly guiding each us to reach our potential so that we can fulfill His mission for us in this world. 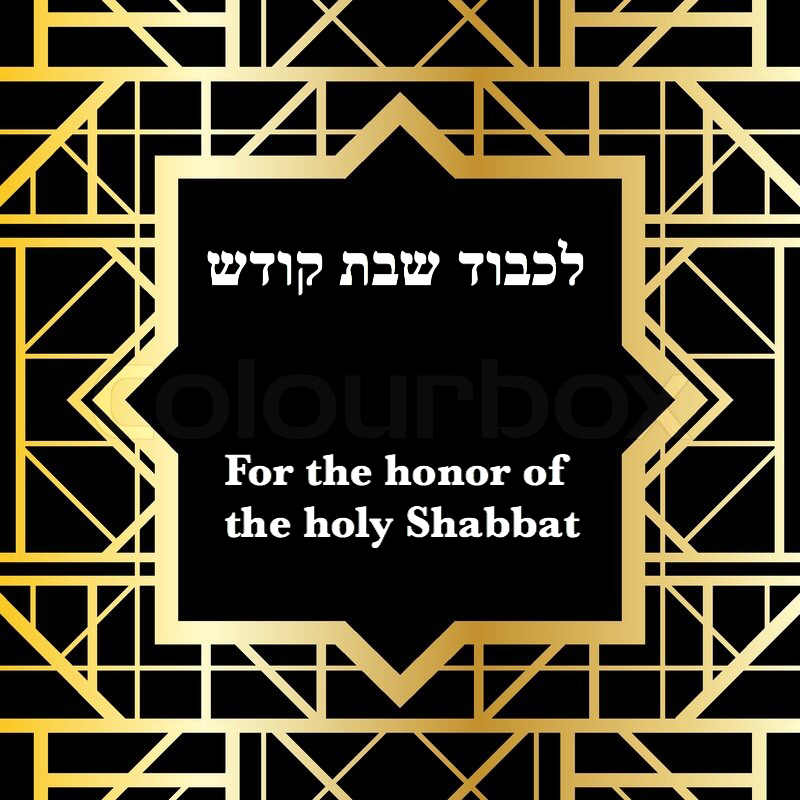 May we be privileged to bring Hashem tremendous nachas (joy) through our actions individually and collectively, so that we will see the fruits of our efforts in our lifetime with the coming of Mashiach (Messiah). May this be a year of peace, happiness, blessings, prosperity, good health and redemption! May we all be inscribed and sealed in the Book of Life. Amen. There were other sources as well, which I will try to send out later. For tedakah, I am donating on everyone’s behalf to Tomchai Shabbat. There was something different about the chocolate chip dot cookies this past week. My husband does not have much of a sweet tooth. And, in general, the girls are more enamored with candy, and ice cream than homemade treats. It has made me think: What was different this time? Was there a special secret ingredient? They were baked while making lots of blessings and focusing on everything that we have to be grateful for. The cookies became infused with our positive intentions, which then elevated them from the mundane to the sublime. Then, after we washed our hands, I asked: “what is the second thing that we need to do? The girls and I discussed how making a blessing reminds us to be grateful to God. 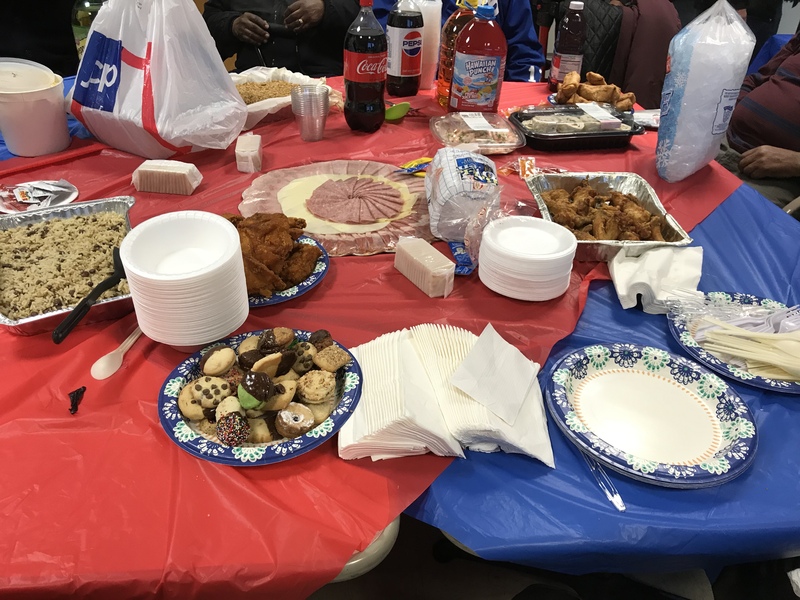 We are allowed to eat, but, when we make a blessing, we are saying “thank you” to Hashem (God) for giving us such delicious food, that makes us happy and keeps our bodies strong. The whole time that we were baking the cookies, we were sharing on all the numerous things that we had to be grateful for. The outcome were the delicious cookies. I couldn’t help smiling when he said that. How could he have known what I was saying the whole time I was cooking? 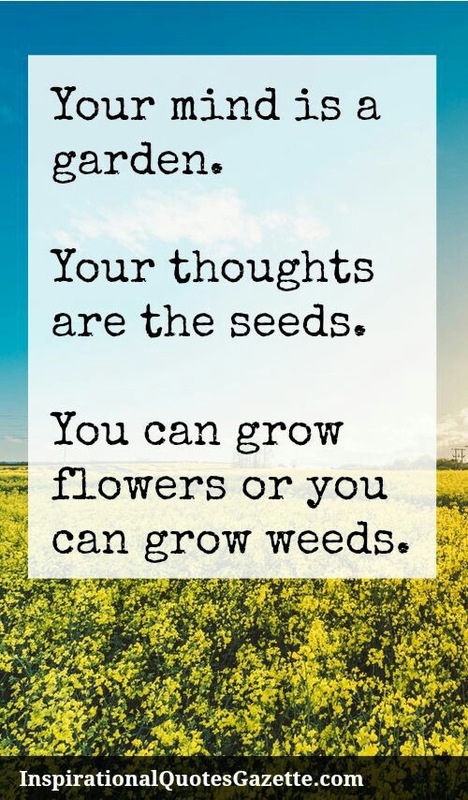 So, our thoughts are very powerful, even to the point that they transform our food from ordinary into other worldly. May we all be blessed to focus on everything we have to be grateful for and transform everything we do to bring more blessings and good into the world. Recently, in addition to being time challenged, I have been life challenged. I am always dispensing advice and providing comfort to people in distress who are suffering. Unlike many of my patients, who have mood disorders, I am not an emotionally volatile person. If I am in a bad mood, then chances are, there is a specific reason. But, I also practice rigorous self-care. All of the tools and techniques that I provide to my patients, I practice myself. 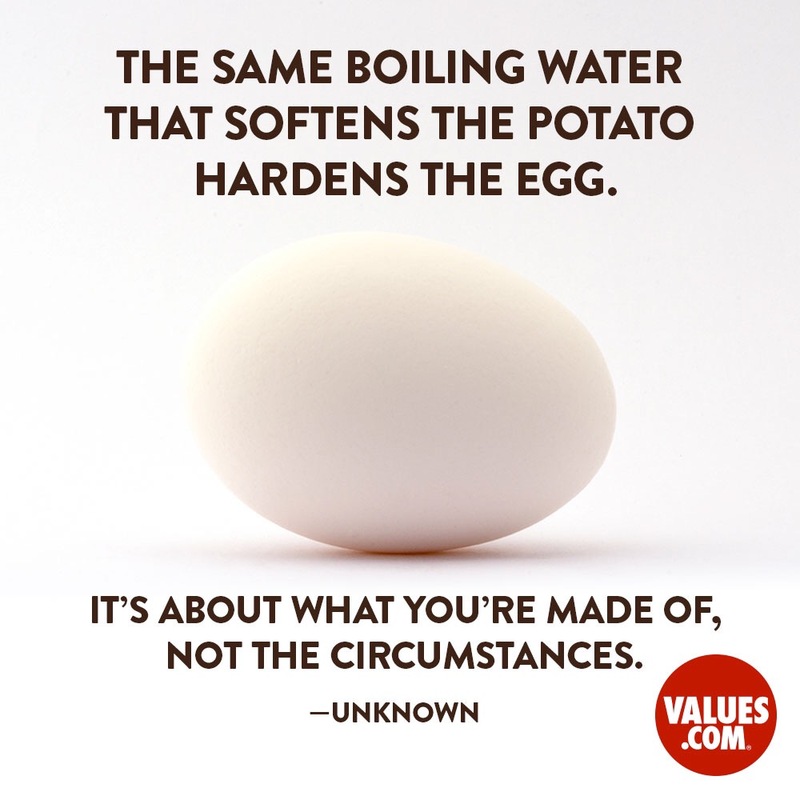 Coping and maintaining a positive attitude is a daily mental discipline. I am grateful for the disciplines that I practice. This past year has been particularly stressful, and these past few months have been even more so. One unfortunate side effect is that I have been unable to blog recently. I find blogging creative and fun. It is so nice to finally have this opportunity to connect and share with everyone again. I have missed it! There are too many wonderful celebrations today for me not to post. 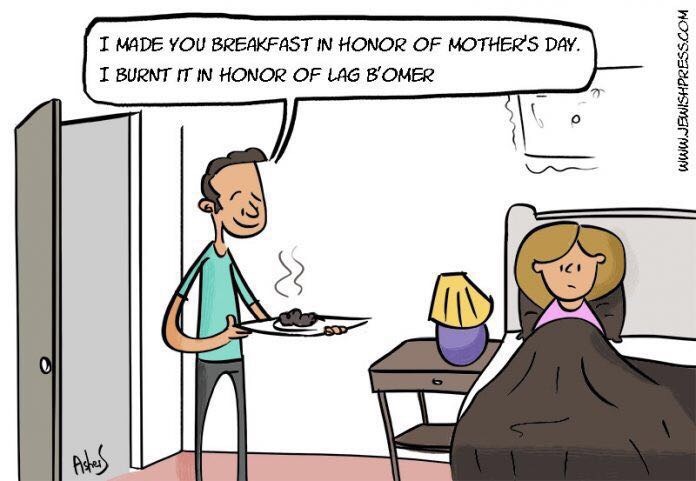 Today is Mother’s Day, as well as the holiday, Lag B’Omer. 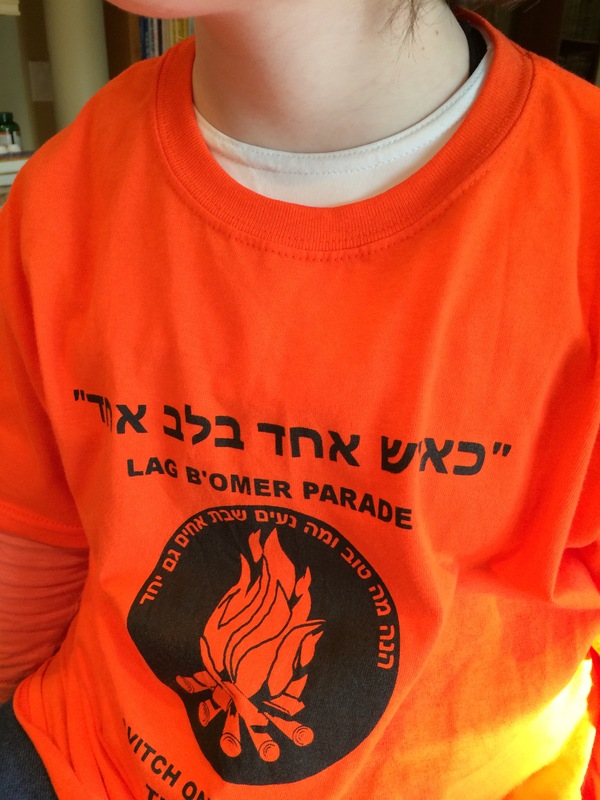 On Lag B’Omer, the deaths ceased, and the period of mourning ended. LOL! On Lag BaOmer, we also light bonfires. The theme of this holiday is about loving and respecting people — even if you do not agree with them. It highlights the destructiveness of having one’s ego invested in being right, at the expense of the relationship or preserving the dignity and honor of another person. Since the mourning practices are suspended, Lag B’Omer also happens to be a very popular day to get married. Unbelievably, today would have been my parents’ 60th wedding anniversary. Today is Mother’s Day too. As I have shared in the past, my mother has always been very ambivalent about Mother’s Day. I thought her comments dovetailed nicely with the theme of Lag B’Omer. Yaffa is a happy camper. The words mean “like 1 person with 1 heart.” Meaning, we are all united and share each other’s joys and sorrows. 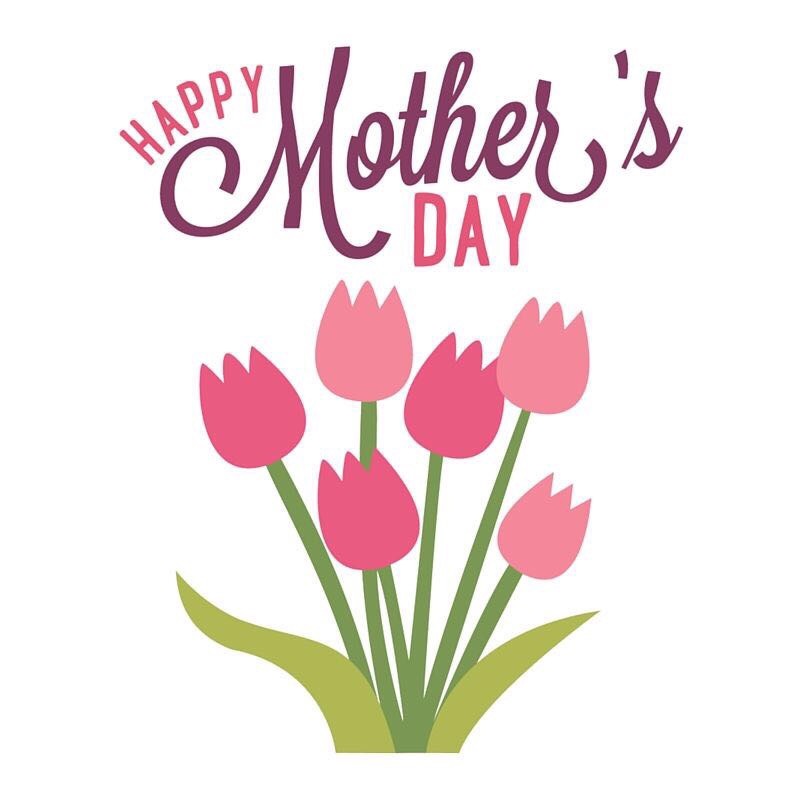 In keeping with her iconoclastic ideas, my mother has also informed me that she no longer wants to receive flowers for Mother’s Day. Instead, she is requesting that the money spent on flowers should be donated to a charity of our choice. What a nice idea! I just had to share it with everyone! Yaffa ate a hard-boiled egg for the first time! 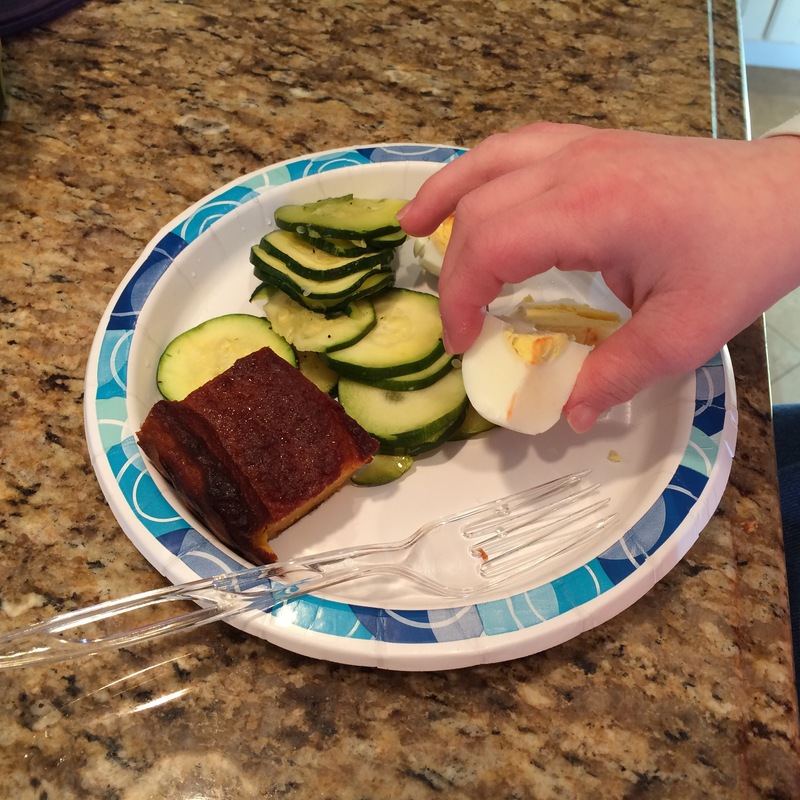 However, the coup de grace for today is that Yaffa ate a hard-boiled egg for the first time. It took a lot of cajoling and effort, but she did it! We are so proud! 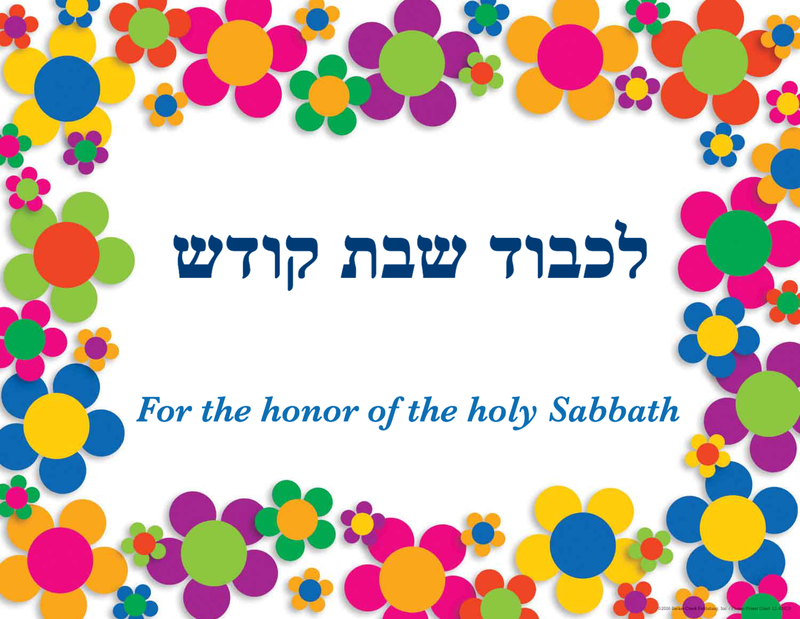 So, happy Mother’s Day to everyone, Happy Lag B’Omer, and congratulations Yaffa! Normally, I am too time challenged to respond to blogging awards. Fortunately, today is a national holiday, so I am home. This means, I have an opportunity to complete and respond promptly. To all the people who have so graciously nominated me in the past, please forgive my tardiness. I am truly time challenged. I consider the very existence of this blog to be an open miracle. Today, I was so touched to be tagged by My Lighthearted Kitchen from her blog, mylightheartedkitchen.com for the 2016/2017 Tag! 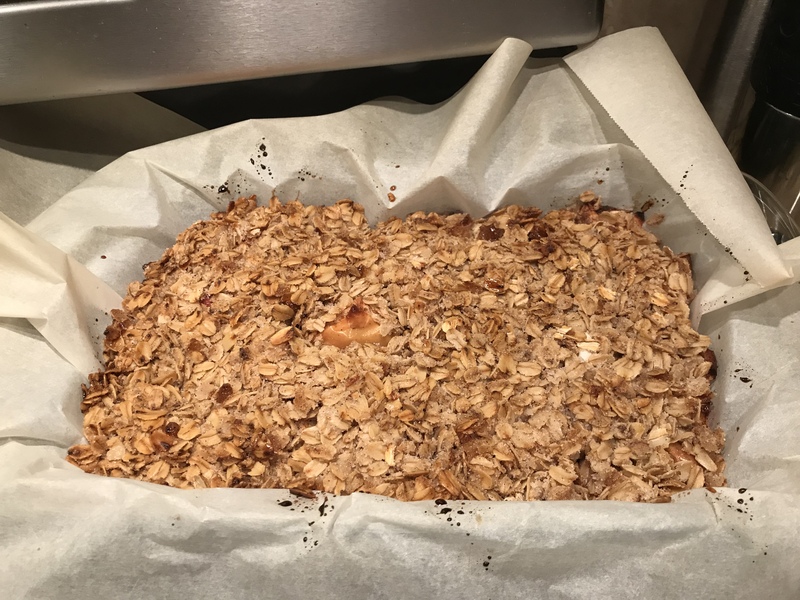 Please check out her lifestyle and cooking blog where she shares her recipes, thoughts and musings about being a vegan, life-loving human being! The questions, I am afraid are a little bit difficult. But, my rule is, “if I have to think too much about it, then I can’t do it.” So, I will answer the first thought that pops in my mind, and assume that it is the right answer. The tag was created by David from The Guy Who Said Always No. I love the title of his blog. It shows a great sense of humor! Please show your support and visit both of these wonderful blogs. Time challenged, intense and full of change. 2. WRITE THE NAME OF 2 PEOPLE WHO HAVE CHARACTERIZED YOUR 2016. There have been so many people who have been so generous and helpful this year. I could never limit it to only 2 people. First of all, we moved. But, the neighbors from our old street were so wonderful and supportive. We miss everyone so much! In particular, I must mention “The Mayor” of the block, whose kindness, warmth and caring are a source of inspiration. He, and his wife and children set a beautiful example for not only the block, but for anyone and everyone who has the privilege to be connected to them. Secondly, my husband’s life was saved by 2 doctors in particular and many other people in the synagogue where we prayed. Are there ever enough words to acknowledge the miracle of a life saved? Two more people who I feel so grateful towards are the youth group leaders at that synagogue, Marvin and Divsha. This wonderful couple were so caring and kind to both my daughters. They gave my girls a sense of place in this world that I so greatly appreciate and treasure. All of these people and so many others have touched my heart this year. The wellspring of gratitude that I feel for all these people is ever-flowing and infinite. 3. WRITE ABOUT THE MOST BEAUTIFUL PLACE YOU’VE VISITED IN 2016 AND WHY YOU LIKED IT SO MUCH. I know that this answer is evading the question, but, every place is beautiful. One of my greatest pleasures was to sit on my glider and watch the sun rise in the morning. Another great joy was to sit on our front porch swing and watch the people walk by, especially when it rained. Anything made by my mother and sister was completely awesome! My sister made a BBQ turkey that was truly memorable! On a personal level, moving was a very significant personal event. I am still adjusting and transitioning to the change. On a national level, the election of Donald Trump as president of the United States was of great significance. It is a topic of conversation at work and throughout our society. We are all on a journey and it remains to be seen where all of this will lead. Inspired by my patients, I pray for the success and ongoing strength of this new administration, this country and the world. May we all be blessed with peace, joy, good health and abundance. 6. WRITE THE FINEST PURCHASE YOU’VE MADE IN THIS 2016, AND IF YOU WANT, LINK A PHOTO. We bought a new house. That was a significant and huge undertaking! 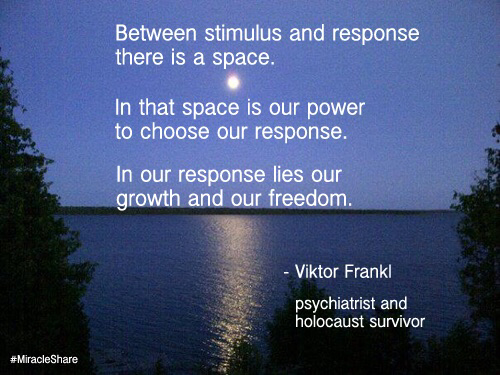 Pause before responding when aggravated or upset. Learn how to use Facebook (OK, this was 4, but who is counting? I love going home to Toronto and visiting with my mother and childhood friends. Hmmmm…. This is not so important to me. I would love to learn how to make soap (this is not edible) and make time to do more sewing. Monica at One Way To Health — A budget friendly journey to a healthier and happier you. Another blogger who writes on many of my favorite topics. 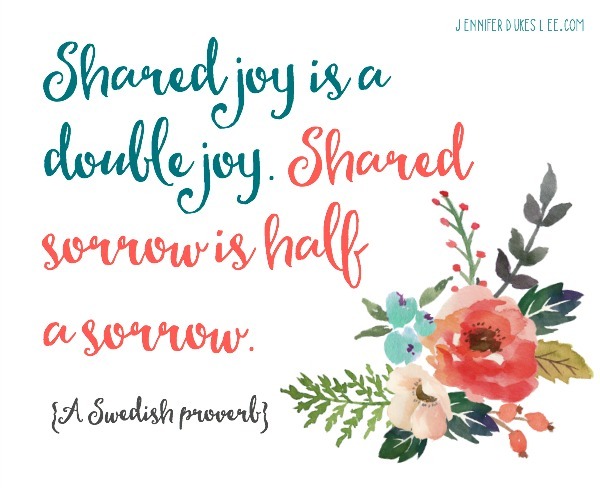 Jessica at Unmeasured Journey at https://unmeasuredjourneys.com/about-2/ Very thoughtful writing, and I love her blog name! Bruce at sportsattitudes at https://sportsattitudes.wordpress.com/2017/02/15/at-the-center-of-it-all-america-hugs-it-out/#comment-4820 Bruce writes about sports and so much more. He is the only person who I know who can make sports sound interesting and meaningful to a non-sports person like me. 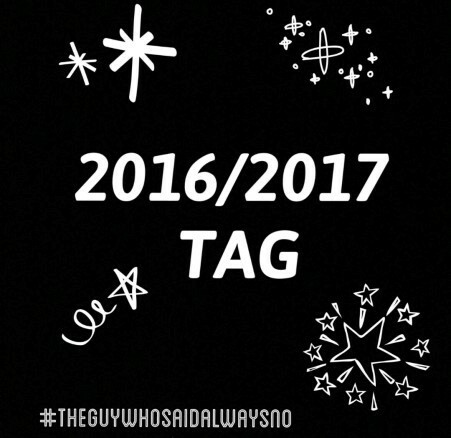 Mention the creator of the tag: The Guy Who Said Always No. Thank you all for participating and reading this post! Please check out these blogs and show your support for our beautiful fellow bloggers. May this year be a year of inspiration, creativity, and love.